The White Sea coast of Russia contains some of the best preserved and most taxonomically diverse examples of Ediacara-type macrofossils anywhere on the planet. The region can be broadly divided into two locations: the Summer and Winter Coasts. Both coastlines record excellent fossil assemblages, with the Summer Coast documenting slightly older fossils and sedimentary successions. The best collections of White Sea material can be viewed in the Palaeontological Institute in Moscow, and in Saint Petersburg. The White Sea coastline, Onega Peninsula, Russia. 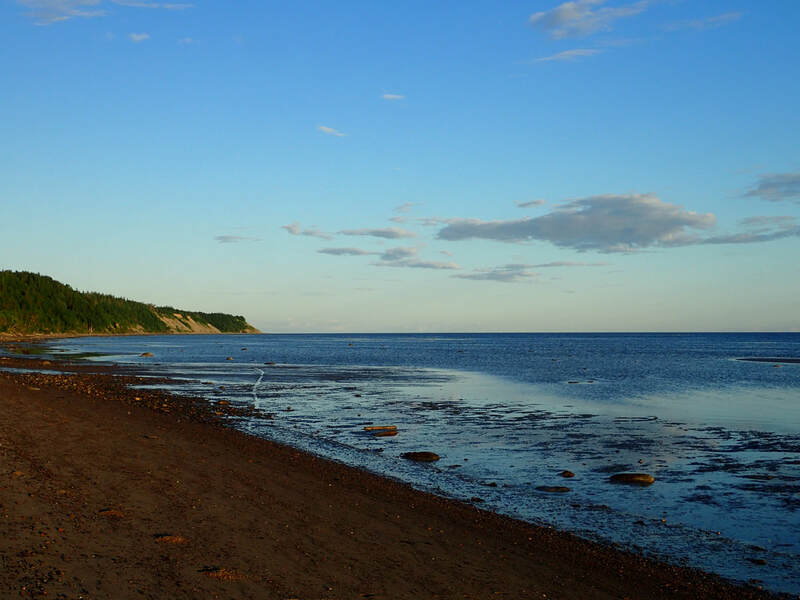 Zimnii Gory is a largely coastal section on the shore of the White Sea, located ~100 km to the north of the city of Arkhangelsk, northwestern Russia. The sections at this site extend for ~13 km along the White Sea coast, between the Yorga and Medvezhiy Creeks (Martin et al. 2000). Fossils are being continually eroded out of the cliffs in the White Sea region, owing to the soft and friable clay-rich lithologies. Large-scale quarrying operations by researchers have been carried out since 1995 to collect fossil material for research (Fedonkin et al. 2007). Ediacaran macrofossils are found in the Lyamtsa, Verkhovka, Zimnegory, and Yorga Formations on the White Sea coast. These units record three regressive and two transgressive cycles of middle- to upper shoreface depositional environments (Grazhdankin 2004). However, only the upper Verkhovka, the complete Zimnegory, and lowermost Yorga Formations are exposed in the cliffs at Zimnii Gory (Grazhdankin 2004; Fedonkin et al. 2007), with the older Lyamtsa and Verkhovka sections better seen on the Summer Coast to the southwest. Fossils occur in claystones, siltstones and sandstones, with each formation containing facies that record several different palaeoenvironments. These can include distal and proximal shallow-water coastal plains, prodeltas, and channel mouth-bars (Grazhdankin 2004). A minimum age of 555.3 ± 0.3 Ma has been obtained by radiometric dating of a volcanic ash at the base of the Zimnegory Formation, located between the Medvezhiy and Yeloviy Creeks (Martin et al., 2000). Zimnii Gory has long been recognized as an important site for study of the Ediacaran biota (e.g. Fedonkin et al. 2007). 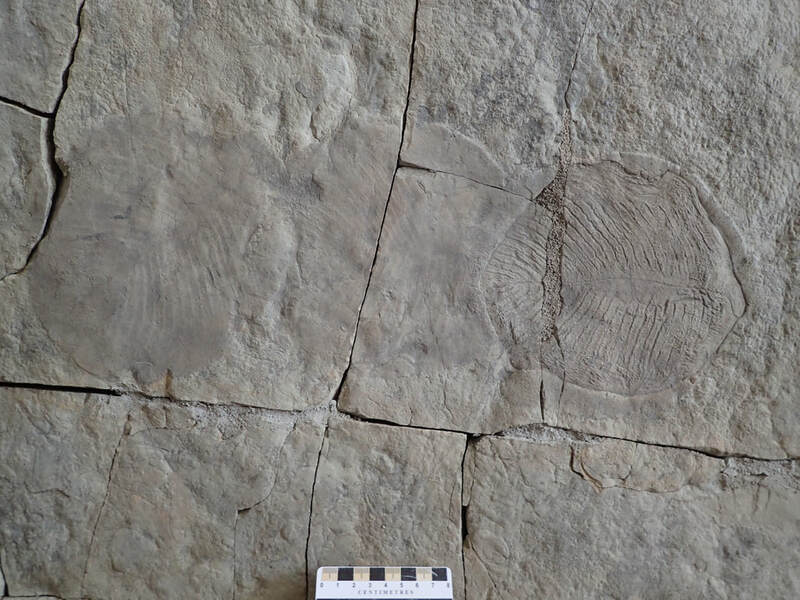 Since the first studies in the late 1930s, numerous Ediacaran taxa, as well as possible evidence for feeding and locomotion, have been unearthed here (e.g. Seilacher et al. 2003; Ivantsov & Leonov 2009; Ivantsov 2011). 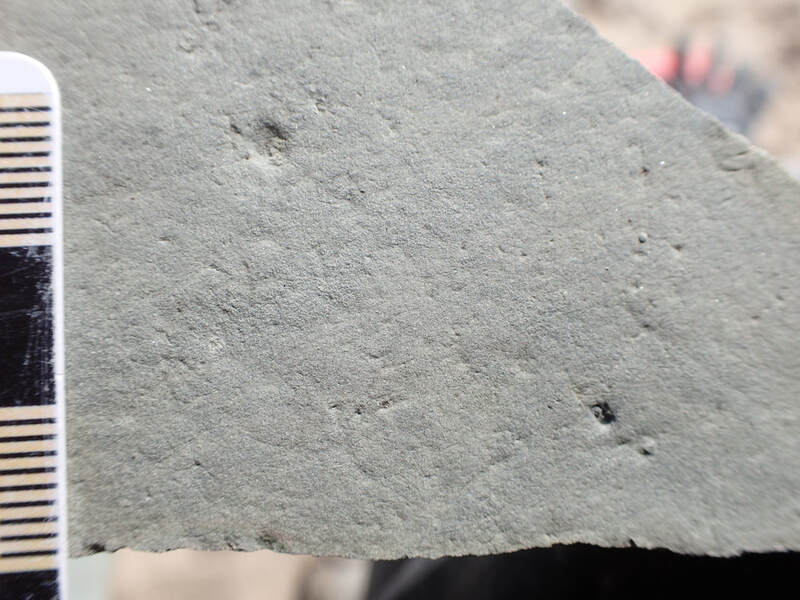 The preservational quality of these fossils can be exceptional, and has revealed much about the behaviour, growth and life habits of Ediacaran macro-organisms. The taxonomic assemblage bears strong similarities to those of South Australia (Waggoner 2003). Originally, the geological units in this region were thought to be Devonian in age; it was not until the 1950s that their Precambrian antiquity was recognized (Sokolov 1952; Igolkina 1956). Facies associations have been recognized in the assemblages in the White Sea region, providing insights into the palaeoecology of the Ediacaran organisms (Grazhdankin 2004; Zakrevskaya 2014). Numerous boreholes have also been drilled throughout the region (Fedonkin et al. 2007 and references therein), permitting a good understanding of the wider geological context of the entire East European Platform, stretching all the way to the present day Ural Mountains. Sadly, the White Sea has previously experienced significant illegal excavations of fossil material (Fedonkin et al. 2009). Researchers at the Palaeontological Institute in Moscow are leading attempts to prevent further loss of material, and to repatriate stolen material. Yorgia body fossil (right) and associated possible grazing trail impressions on a slab from the Winter Coast, housed in Arkhangelsk, Russia. The Summer Coast hosts multiple individual localities along the Suzma, Verkhovka, and Solza rivers, and the north-eastern coastline of the Onega Peninsula. The Summer Coast lies to the west of the city of Arkhangelsk, with outcrops spread across a vast area of several hundred square kilometres. Access to the localities is difficult, and often requires the use of unconventional modes of transport. A typical microbial mat fabric preserved on the base of a sandstone bed in the Lyamtsa Formation. Beltanelloides from the Lyamtsa Formation, Onega Peninsula, Russia. Localities along the rivers of the Summer Coast fall within the upper Lyamtsa Formation and the Verkhovka Formation of the Valdai Group (Grazhdankin 2004; Fedonkin et al. 2007). The Verkhovka Formation here is constrained by a U–Pb zircon date of 558 ± 1 Ma from volcanic tuffs at the base of the formation (Grazhdankin 2004), and a U–Pb zircon date of 555.3 ± 0.3 Ma from volcanic tuffs at the base of the overlying Zimnegory Formation (from the locality at Zimnii Gory, to the northeast; Martin et al. 2000). Both the Lyamtsa and Verkhovka Formations largely consist of interstratified siltstones, mudstones and sandstones, deposited in mid- to upper shoreface and distributary mouth bar environments (Grazhdankin 2004). Fossils can be found in all lithologies, but those on the bases of sandstones are least susceptible to fragmentation when removed from the cliffs. Algal fossils are particularly common in the mudstones of the Lyamtsa Formation. The Summer Coast of the White Sea region has provided important insights into the facies distributions and ecologies of the Ediacaran biota (e.g. Grazhdankin 2004), as well as hosting a variety of interesting taxa. Recent studies on White Sea material from the region as a whole include research revealing that some frondose taxa can be preserved upright and are pyritized, revealing internal anatomical information (Ivantsov et al. 2016); possible evidence for medusoid specimens (Grazhdankin 2016); and new insights into classic taxa such as Dickinsonia (Zakrevskaya & Ivantsov 2017).